The National Student Clearinghouse is pleased to present Transcript Ordering Winter 2019 release, which provides the following significant user experience improvements. When a United States mailing address is entered as the recipient during an order, the address will be verified by USPS using our new Address Verification Service. If there is no exact match for the address, the requestor will be provided with the option to choose the suggested address or the address that they entered. The requestor will be advised if multiple pieces of the address are incorrect. The addition of the address verification feature will help cut down on paper transcripts not being delivered and returned to your office. This feature will be available for all Transcript Ordering schools that offer a U.S. mail delivery method, including Express/FedEx. Our SecurePrint service has been added to our new ordering site for the school customers that use it. The fees, delivery methods and functionality of the service have not changed. We added a new Address Verification feature to help verify more addresses quicker. 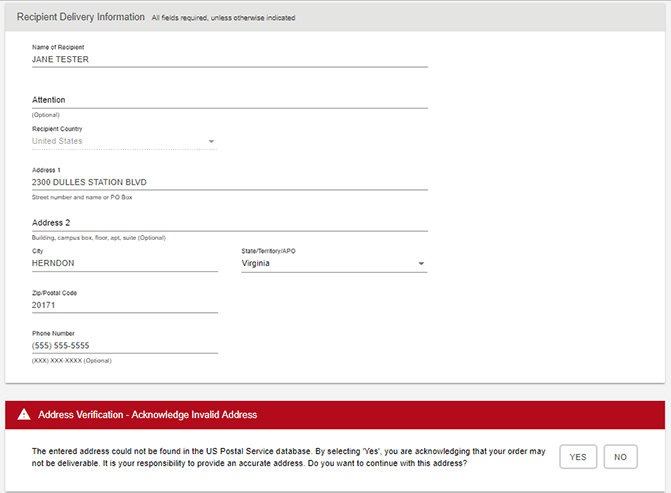 However, the student will still need to verify the address if the one entered is not the suggested USPS address. If you are interested in adding SecurePrint so the Clearinghouse can print and mail your paper transcripts for you, please contact your Regional Director. 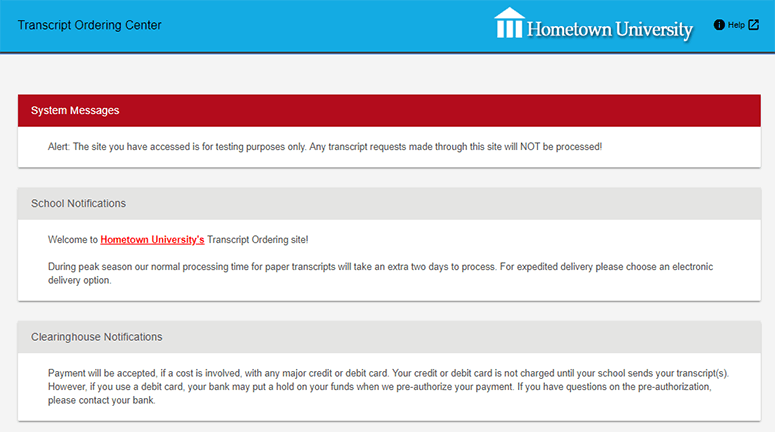 Both visual and non-visual changes have been made to the ordering and Transcript Order Status sites to comply with accessibility and WCAG standards. A user who uses assistive technology, such as a screen reader, can now use the site with the tool to complete an order. The school custom masthead and school name (for those school customers that don’t customize their Transcript Ordering masthead) have been enlarged so they are clearer for the requestor to see. This will help students more easily confirm that they are ordering from the correct school throughout the request. We resolved the errors (e.g., “ADF Faces,”“Name is Null”) experienced by some school users using the Transcript Services tab on the Clearinghouse secure site to process transcripts. This fix should help users process and upload transcripts quicker.